The kids are hanging on to the window rails, eyes glued to the Ganesh visarjan procession in front of our house. The best part about the visarjan is the dhol-tasha troupe that plays a sensational, rythmic beat as it passes by. Suddenly, Shobby lets go of the window rail, raises his hands high and yells, “Ghanpatti Bappa O-liyaa”. “No, No Shobby”, corrects Lui,” Say, Ghanpatti Bappa Mallya”. I’m packing their change of dress, to be worn at the day-care, in their bags. I pull out a T-shirt and a pair of jeans for Lui. “No Mumma….I don’t like this. Woh pink flock rakho. It is my favlette”. “Huh? What”, I didn’t get her. “FAV-Lett. Favlette. Jab bahut achcha lagta hai na, tab favlette bolte hain”. “No Mumma, aapko nahin aata. Say Fa-Va- Lett”. Its a regular hectic morning, I’m frantically getting the twins ready and making sure they drink their milk. “Lui!! Come here. Finish this milk”. “Mumma, actually, I don’t like it”. “Huh?” I’m stumped for a minute. “I said, actually, I don’t like it”. “Actually, mujhe doodh achcha nahin lagta”. Lui is not cooperating for having dinner. She insists that she isn’t hungry. I yell that I will confiscate her doll (called Lollipop) if she doesn’t eat up fast. When she still continues to ignore me, I get up and grab her doll. I’m trying to wake up Lui in the morning. “mumble…mummble”, she says something burrowing her face in the pillow. “No touching me anywhere, okay??”. “May I touch your legs?”, I joke. As for me, she gladly climbed into my arms, had me scrub her clean, wipe her down and dress her up. First two made by me. Cut by twins, devoured by all. Chocolate Cheesecake bought by BIL. Cut by twins, eaten by all. Finished by me. Pineapple bought by BF. Cut by twins, devoured by all. Black forest bought by ex-project colleagues and lunch group at work. Cut by me, devoured by all. Dark chocolate bought by current project team. Cut by me, devoured by all. I’m hoping, really hoping that this is the end of the cake saga. Frankly, I’m now having dreams of whipped cream frosting with pink cherries and I swear it is liquid chocolate that now flows through my veins. Ideally, I should be nauseous at the thought of more cake…but you know what?? Its just the opposite. I feel like having more and more *hangs head in shame* . Its almost like an addiction, you know. You start eating and eating and realize with a gasp that you just cant stop! All the sugar goes up the brain and fires up some circuits. The choco gives a constant buzz and whatever little remnants of sane thoughts residing in the brain are neatly tossed out of the window. So now, after a year of sincere efforts to lose weight (while I was 65kgs), I now weigh a ridiculous 75!! Go on. I’ll wait while you digest that fact. Thousands spent on gym membership, sporadic yoga at home, constant running after the twins and yet, YET, the weighing machine seems to inch further and further the wrong way. It’ll take me ages to undo the damages. I’ll just have to start with baby steps once again, isn’t it? Tomorrow, ladies and gentlemen, tomorrow, I shall turn into a new leaf. As for today, I need to wrap up the leftover cakes 😀 . Get rid of the temptation. Clean up the refrigerator. Warn family and friends of dire consequences if another cake crosses the threshold. In short, erase every memory of the sweet, creamy, gooey, chocolatey,….goodness!! What the hell am I doing?!! I gotta stop right now!! He was the one who called me up early in the morning. On a Sunday!! I spoke to him for a few minutes. It felt good. He sent me oodles of prayers and best wishes for the future. As I bid goodbye, I promised to call him up more often. “So, how does it feel?”, the BF asked. Thats when the dam burst. I sobbed. I sobbed hard. The BF was shocked. He didn’t think I would take it this bad. “Its okay sweetheart…you are just a year older”. “Ish knwat that. I mish my pah-ents”, I muttered between sniffles. “Lets ask them to come and settle in Pune”, he offered by way of help. I would have thumped him with a pillow if I wasn’t already busy with drowning in my tears. “Okay, why don’t you make a quick trip to B’lore next weekend”, he offered, in the way he knows which helps avoiding major conflicts. “Take the kids, spend some time with them”, he comforted. “Cant. Much work. Tickets ‘spensive”. “Well…you either gotta think about the money or about the family. 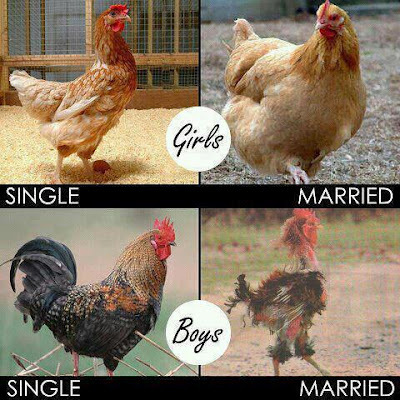 Take your pick”. Damn this guy!! He cant even let me wallow in pity on my own birthday!! So friends, this is how I ushered in another year in my life. I was sad, upset and whiny. I wanted my Mumma and my Dad and I wanted to be the little girl I once was. For a few moments there, I was overwhelmed by it all, the kids, my job, the home, my responsibilities and my overall ineptitude. A part of me wanted to get out of it all. I don’t want to grow any older 😦 . Thirty Three done. Thirty Four Start. Whew!! Seems a count too many, doesn’t it. But then, like Dad says, age is frame of mind (His frame is definitely the best teak out there, because he just seems to get better as the years pass by. Mine must be made of oak, rotting from the inside 😦 ). So we cut the last cake of the day at around 11 in the night. The kids were too full of sugar to feel sleepy and we had a nice story-telling session till late night. As we finally said the prayers for the night, I thanked Allah for all the little bits of love and happiness that surrounds us. And here’s hoping (and I really, really hope) that I mature up and have the courage to face whatever comes my way. An unsuspecting historian and symbologist accused of murdering his best friend. A smart, no-nonsense lady-cop. An equally smart student of the symbologist. Lots of twists and dollops of history. Who knew Indian history could presented in such a captivating and interesting manner?! Not me, for sure 😐 (History were the periods where we fought with each other for the last benches in the classroom ;)). 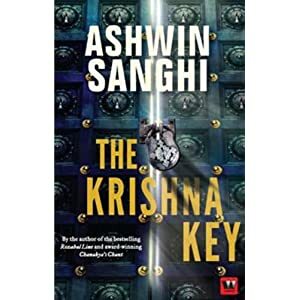 The Krishna Key by Ashwin Sanghi is a curious amalgamation of the present and the past. Of history and mythology. Of views and perceptions. The tale of Krishna runs in parallel to the current proceedings and at each turn, we see how much the past effects what happens today. Though the book carries a disclaimer that the views expressed in the book are solely the author’s, you are compelled to believe in each word that you read. How powerful is that?! Indian history has its fair share of mysteries. We’ve had invaders running amok on this land since time immemorial (I doubt any other country in this world has been sought as much!). With the kind of cultural influences converging on this landscape, it is but natural that one loses track of the secrets passed down from generations before. Ashwin takes the efforts to study the fragments of available material and then fills in the gaps. It is these filled in gaps which provide the maximum food for thought. Right from the early pages where the nuclear reactor at BARC is compared to a Shivling to the pages in the end where the mystery of the Taj Mahal is explored, we are fed varied tidbits of information which are right before us, but we never had the right perspective to understand them. It is amazing to see the kind of research that must have gone in the effort to write this book. Commendable 🙂 . The only false note (in my opinion) would be with the plot line. Borrowing heavily from The Da Vinci Codes to The Lost Symbol, it almost feels as if we are reading a desi Dan Brown (nothing wrong with that , really). We have a mysterious killer who is led along by a secret hand (Da Vinci Code). We have a antagonist who believes he is on the path of God but is actually quite in the opposite direction (The Lost Symbol). Combine it all with a protagonist who is a professor of Indian history and symbology to boot and one can’t help but wonder if the book was just translated from one of Dan Brown’s. Ashwin Sanghi lays to rest all these doubts as he slowly and surely builds up a book and a narration which is truly Indian at heart (with an international audience in mind. No wonder a cop reads out the rights from an Amendment of the law before performing an arrest. I’m yet to see/hear of a single cop actually doing that in India  ). Somewhere in early 2000, I wrote my last letter to Mom. Parents were in Kolkata at that time, me, Bro and Bags were in Pune. For the first time in my sheltered life, we were living away from parents, from the comforts of a bustling household, from the aroma of fresh, tasty food, from the ignorance of managing a house and the many, many little things one needs to do to keep the home running. Living alone brought along its hardships, right from washing utensils to clothes, sweeping, mopping, cooking, the works. Bro used to work long hours, Bags was in a management course and had ungodly hours at college. I was the free one, giving up a post-graduate seat because I didn’t want to pay for it and preparing for the admissions for the next year. My routine comprised of cleaning up the house, washing clothes (in the washing machine 🙂 ), washing utensils (by hand), cooking, folding dry clothes, sorting vegetables, folding laundry , etc. In the evenings, we usually sat down to do our studies, me and Bags. We didn’t have a television, so we either used to watch a movie on the desktop (which had a 2 MB hard disk *gasp* ) or simply listen to the radio (Aakashwani, since Radio Mirchi wasn’t born yet). We used to call up parents regularly (thankfully, we had a land-line) and it was comforting to share our domestic tales with Mom. One day, after a fight with Bro over making tea, I got fed-up of managing the house and instead of calling Mom, sat down to write a letter. A couple of drafts later, I realized how utterly juvenile my rants were. There was no need to worry Mom over such a trivial matter. So I just wrote a nice little letter, letting her know that all was well on our side and that we missed her. Many a times, Mom would gently remind us to write letters. We would say, yeah sure and then completely forget about it. As long as we could call her up and update her on our status, all seemed to go perfectly fine with us. I went on to get a job and Dad gifted me my first mobile (Nokia 3315. Remember anyone??). Distances grew shorter. I could call parents anytime I wanted 🙂 . I would send Dad a hundred messages, mostly irrelevant and he would message me back to shut up 😀 . Life was fun. But not for Mom. Even till recently, when she was in Pune, she said, “I’m not tech-savvy like your Dad. I can’t read mails…so why don’t you just write me a letter?”. As usual, I assured her that I will. And I didn’t 😐 . Needless to say, the letter was brimming with love and oozing concern and best wishes. I couldn’t get enough of it. I read it with a grin on my face, imagining Mom’s brows furrowed with worry as she wrote about how she worries and prays for me 🙂 . And now comes the difficult part. I haven’t written a letter in ages. 12 and a half years, to be precise. I don’t even know if I’ll be able to fill a page 😐 . But you know what?? I sure am going to try. And there’s only one reason why. Because no matter how many times you call or send an email….nothing and I mean nothing can match up to the thrill of holding those papers close to you as you read them out, or as you clutch them to your chest and feel the love pouring right into you. Can’t be so tough, can it? I’m surely gonna try it out today. Its rather late in the day, but what the hell, its still Monday here. Got some funnies in my mailbox after a long time. One signs to the other, boy was my wife mad at me last night! She went on and on and wouldn’t stop! The other Buddy says when my wife goes off on me I just don’t pay her any attention. It’s easy! I just turn off the light! One bright, beautiful Sunday morning, everyone in a small town wakes up early and goes to their local church. Before the service starts, the townspeople sit in their pews and talk about their lives and their families. A blonde decides to try horse back riding without prior experience or lessons. She mounts the horse with great effort, and the tall, shiny horse springs into motion. It gallops along at a steady and rhythmic pace, but the blonde begins to slip from the saddle. Out of shear terror, she grabs for the horse’s mane but cannot seem to get a firm grip. She tries to throw her arms around the horse’s neck, but she slides down the side of the horse anyway. The horse gallops along, seemingly oblivious to its slipping rider. These days, I return home around 8pm (which is rather early) compared to the 9pm entry I was making until last year. I leave a little late in the mornings, making sure that the kids get into their school van and then leaving for work. I eventually reach office around 10am or later. which means, that after 9 hours, I leave around 7pm or later. So 8pm it is, when the kids expect me back home. The minute I enter, the kids rush up to me. No no, they don’t rush up for a hug or kiss. More likely, they’ve been fighting over something and I have to make a judgement RIGHT NOW! I hold them up for a while and politely ask them to give me a few minutes to at least freshen up. “Okay, aap paanch minute mein fresh ho jao”, Shobby magnanimously permits. So I quickly wash up and head to the kitchen, where the MIL (Bless her) keeps tea ready for me, everyday :). “No no Mummy. No tea”, both the kids yell at me. “Why not? !” I’m appalled. My cup of tea is my savior…to get me through the rest of the evening. “okay, tea piyo, but no reading paper”, he pouts. “Alright”, I resign to my fate. At least I’m allowed to have my cuppa. The kids continue their bickering and fighting for every piece of toy that lays strewn across the house. I don’t pay heed. The picking up can be done later. Once tea is over, I have to practically threaten the kids with dire consequences if they don’t have their dinner ASAP. Shobby obliges, Lui doesn’t 🙄 . Much running after, the kids are fed. We quickly get our school bags out and check for the day’s homework. The one thing that I’ll eternally be grateful to Allah for, is that my kids love doing their homework. They love their number writing or coloring or sticking pictures. The only trouble I have is to restrict them to the page they have to fill. Left on their own, they would cover all the pages with their scribbles and proudly display them for our compliments. Homework over, we have some time for playing, mock-wrestling or pillow-fights 🙂 . Around 10pm, I start prepping them for sleep time. Last visit to the toilet is followed by cups of milk, narrating stories and then goodnight prayers. The lights are turned off and I stop replying to their umpteen queries. The idea is, they should take the hint that their mom is asleep and they should drop off too. Usually, I’m the one who actually starts snoring and the kids start playing in the dark. Their father comes in around 10:30 pm and the kids are up and perky in seconds. What follows is some serious father-children bonding time where I don’t come into the picture at all (since I’m busy snoring). The kids are hyperactive (MashaAllah) and minding them for a few minutes is a trying activity. Sometimes, they are in good behavior mode and don’t run around much. But there are other times, when I’m left gasping in their wake, unsure whether to catch Lui before she upturns the box of cornflakes on the floor or run after Shobby, who is perched precariously at the edge of the window sill. Obviously, both are at separate ends of the room :|. And this is the reason why, when I get up each morning, I look at their sleeping forms and wonder, for the umpteenth time, what if I had them earlier?? These are the twin’s beginning years….there are many more to go. I had planned on teaching them badminton and playing matches with them. It seems like a distant dream now. I wanted to be a part of every new sport or game that they learn, but lately, thoughts of pulling out seems very appealing.I never wanted to be a mother who sits on the side lines and watches her kids play. I always wanted to be the mom who was right there on the field with the kids, dunking a ball through the basket even as they tower over her 😐 .